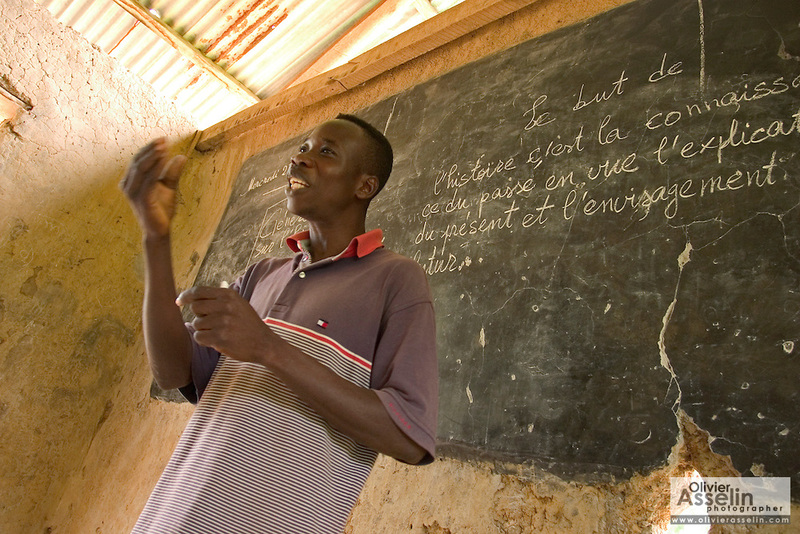 Togolese man teaching in a classroom in a small village along the Togolese border, Eastern Ghana. Thousands of Togolese citizens crossed the border into Ghana after the violence that followed presidential elections in April 2005. Partly because of strong cultural ties between populations on both sides of the border, Togolese refugees were able to enjoy the relative hospitality of their Ghanaian neighbours, and are today scattered in various villages across the border. The UNHCR complains that, since the refugees aren't concentratred in large camps, media attention has been minimal, and that it has been very difficult to attract funding.